In some cases, you need to change the encoding of the file or its line endings. 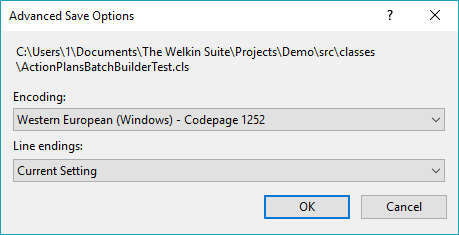 The Welkin Suite offers you such options during the saving of the file. 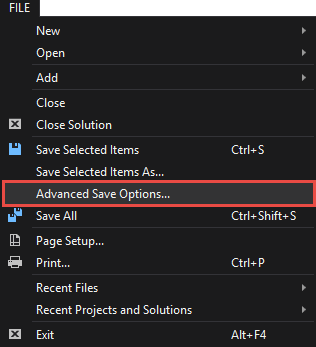 To manage save settings, navigate to the Main Menu: File ⇒ Advanced Save Options… when the necessary file is opened in the editor. You'll get the opened window with the advanced save options. The first drop-down list allows you to choose the encoding for the file, and the second drop-list offers you possible variants of line endings. After you select the necessary settings, click the OK button. You file will be saved as the new copy with the same name.